Dogged by cost overruns, design glitches and debates about the vessel’s ability to withstand modern sea battle, the Navy’s Littoral Combat Ship program has faced its share of controversy. But the Pentagon’s decision to scale back the size of the LCS fleet also led to the Navy buying more helicopters than it needs, costing taxpayers $1.4 billion — plus ongoing charges to store the choppers ― according to a report last month by the Defense Department’s Inspector General. Initial plans drafted in 2007 called for the Navy to build 55 of the multi-mission warships but as the LCS program fell victim to delays, escalating costs and other headaches, the Pentagon winnowed the fleet to 32 vessels. And although the Navy had received only 11 littoral combat ships by early 2018, the pace for purchasing new MH-60 Seahawk helicopters for the vessels never abated, IG determined. For reasons left unexplained in the report, no one told the Navy office in charge of procuring the aircraft that the size of the LCS fleet had dropped. “There is not a formal process to notify dependent weapon system’s divisions of changes in program status,” investigators wrote. So while the service requires 473 of the MH-60R and MH-60S variants, it now has 531 of them in stock, according to the IG. “As a result, the Navy spent $1.4 billion to procure 57 helicopters that were in storage and will spend more than $2 million annually to store these helicopters until at least 2020 when additional LCSs are delivered,” the report states. The Navy expects to receive the rest of its littoral combat ships in 2023 — nine years after the promised delivery date — but the "need for these helicopters will continue to be delayed if the LCS delivery schedule is delayed beyond October 2023,” according to the report. Officials eventually realized that the Navy was purchasing too many helicopters but they decided to keep buying all the birds they ordered anyway. “The Naval Air Systems Command conducted a study and determined that there would be a greater financial impact on the DoD to cancel the contract rather than purchase the additional MH-60R helicopters,” the report states. Littoral combat ship Coronado suffered an engineering breakdown on Monday, two months into its maiden deployment. Navy officials “expressed concern” with the IG’s finding and recommendations. “The (Deputy Director of Air Warfare) stated that although LCS was delayed, aviation made a conscious decision to continue procuring the H-60 aircraft based on the aircraft economic order quantity and expected LCS production improvements,” the report states. To mitigate the financial damage, the service plans to rotate the excess helicopters into operations every two to three years in order to reduce the accumulated flight hours across the fleet, according to the report. 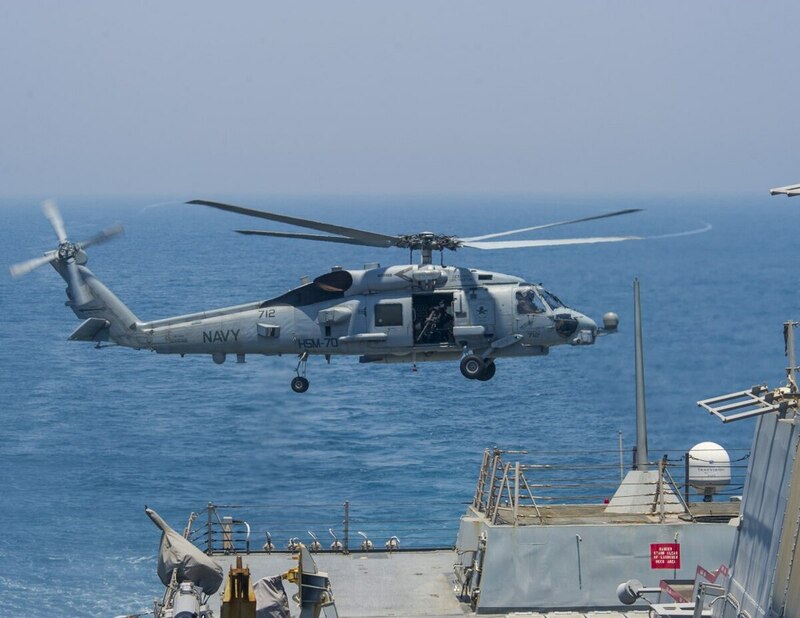 “The Navy will continue to keep a quantity of 57 excess MH-60 helicopters in preservation until receiving the LCSs or other ships and fielding the helicopters to operational units,” investigators wrote. This could allow the MH-60R to end its service life in 2042, with the MH-60S slated to retire in 2035.